Diamond Carpet Cleaning's owner is long-time Bixby resident - Brian Jackson. 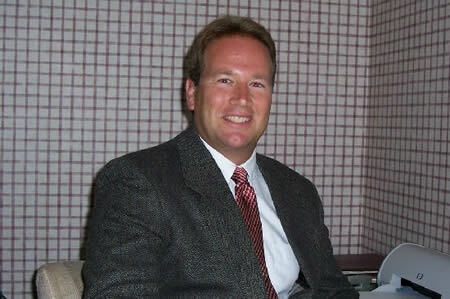 Brian holds a business degree from Northeastern State University, and is an IICRC Certified Technician. Brian is active in his church and community, and strives to operate his business under the Golden Rule. If you are not satisfied with our Tulsa carpet / tile cleaning, we will come back and make it right! Wouldn't it be nice to do business with a company that puts YOU first and works hard to meet all of YOUR cleaning needs? Diamond is dedicated to that kind of service, and is one of the fastest-growing service companies in Tulsa County. We simply do not hire marginal people and we never run classified ads! We don't have to! Diamond has a staff of trained, upstanding, responsible, family men with the desire and work ethic to supplement their regular incomes. We have nothing personal against spiked purple hair, black lipstick, tattered clothes, and felonious behavior. It's strictly a business decision not to hire these types of folks to clean your facilities. We are uniformed, clean-cut, bonded, and insured for your protection. Undoubtedly you want to select a company that is diligent in preserving your assets -- your building, carpets, resilient floor coverings, wall surfaces, fixtures, and furniture. You have good reasons for selecting Diamond.